The current phase aims to reduce waiting lists for patients awaiting surgery and critical medical interventions to a period of six months and to launch a programme to develop 47 model hospitals affiliated to the Ministry of Health among them 18 affiliated to universities. The model hospitals will ensure a national supply of baby formula, vaccines and serums, among other items. This is in addition to conducting comprehensive testing for the Hepatitis C virus among 45 million people and providing treatment to all infected patients in collaboration with major pharmaceutical companies within two years. There will also be medical check-ups for young people and children under the age of 18 in schools and universities, Radi said. According to Khaled Megahed, the official spokesman of the Ministry of Health, the ministry has selected 29 hospitals in Egypt’s governorates to be model hospitals. Under present plans there will be one model hospital in each of the country’s 27 governorates, except for Cairo and Alexandria where there will be two. 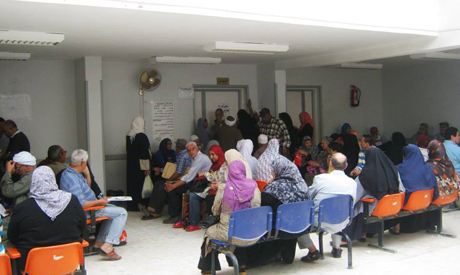 He said the ministry had already renovated 13 medical centres in Port Said at a cost of LE130 million. These centres were located in high-density area and were “in addition to a further 31 health units currently being renovated. Each health unit will provide medical services to at least 20,000 citizens. No patient will have to leave his governorate for better health services elsewhere,” Megahed said. The new system’s second phase will start from 2021 to 2023 in the Luxor, Matrouh, Red Sea, Qena and Aswan governorates. The third phase, from 2024 to 2026, will be in the Alexandria, Beheira, Damietta, Sohag and Kafr Al-Sheikh governorates. The fourth, from 2017 to 2028, will be in the Beni Sweif, Assiut, Minya, New Valley and Fayoum governorates. The fifth phase will start from 2029 to 2030 in the Daqahliya, Sharqiya, Gharbiya and Menoufiya governorates. The last will be from 2031 to 2032 in the Cairo, Giza and Qalioubiya governorates.